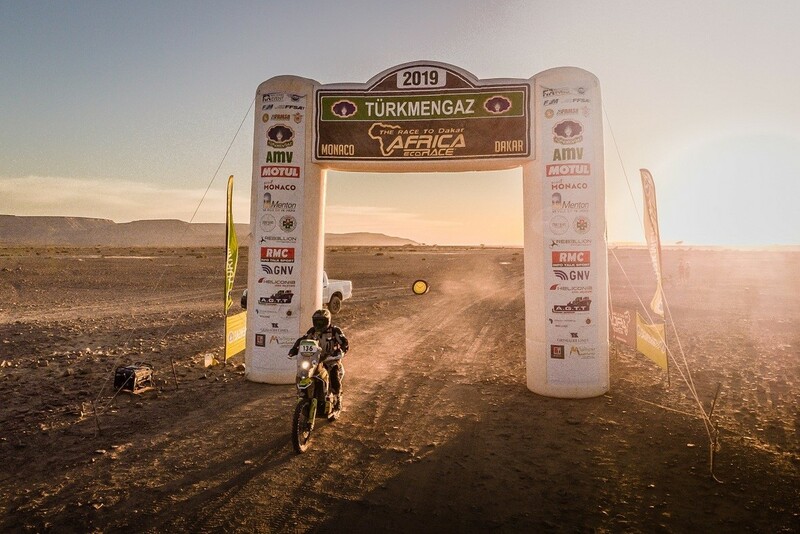 AFRICA ECO RACE 2019 ANOTHER MAGNIFICENT DAY ! 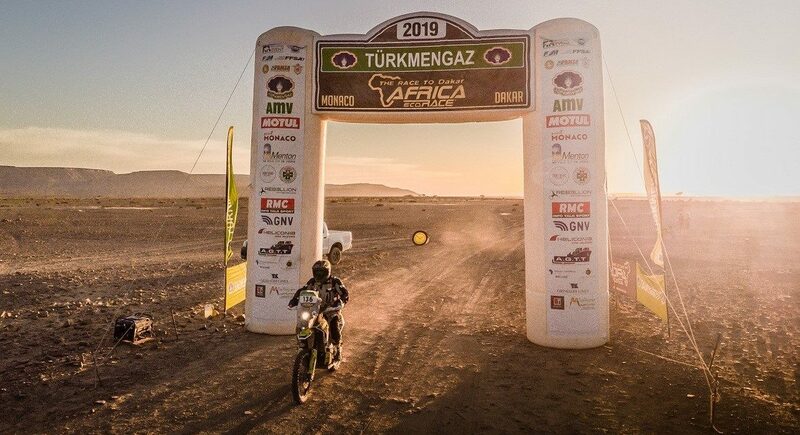 January 11, 2019 Andries Van der Walt	Comments Off on AFRICA ECO RACE 2019 ANOTHER MAGNIFICENT DAY ! 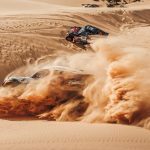 For the second day since the beginning of the AFRICA ECO RACE 2019, the caravan of the rally will not be moving as the competitors will be racing in a loop of 375 km around Chinguetti, city part of the UNESCO world heritage sites, located approximately 60 km from the Amodjar bivouac A difficult day ahead for the competitors as the navigation, as many times before, will be challenging. 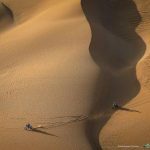 On the other side, the sand was not as much as an obstacle as we would have thought and the 100 kilometers of dunes were raced without much difficult. FIRST STAGE VICTORY FOR JENSEN. Felix JENSEN is 27 years old and is Norwegian. He is the student and team partner of Pal Anders ULLEVALSETER. He first made an appearance in rally-raid in 2018 on the AFRICA ECO RACE and had finished 4th. Today, a hidden waypoint was challenging for all drivers. Indeed, the WPM only appeared on the GPS when in a 500 meter range. And as all leaders went the wrong way, they took some time to go past the correct passage. Felix JENSEN was the first to validate this WPM and, onboard his KTM, logically wins the first special stage of his young career. The Norwegian beats Patrice CARILLON, first French pilot of the day and his KTM by 1’05’’. Simone AGAZZI with his HONDA, one of the favorites of the race, finishes 3rd at 2’08’’ in front of Pal Anders ULLEVALSETER at 3’44’’. The success of the day is attributed to Domenico CIPOLLONE who arrives in 6th place, only 10’56’’ from the winner. Thanks to this performance, the Italian managed once again to thin down the time between him and ULLEVALSETER as he finishes 5th at 5’44’’, which is 2 minutes ahead of the Norwegian. Therefore, in the general ranking, BOTTURI still has 5’15’’ ahead. Not much but with only two special stages left, ULLEVALSETER has to react fast. Great day for the legend Franco PICCO who scores 8th, just behind Francisco ARREDONDO. A logical result for this veteran who drove with his experience. Bad news though for the French Guillaume VIDAL who fell on kilometer 40. Un fall that required a helicopter transfer to Nouakchott for some medical tests. His KTM caught fire in the accident and was destroyed. The shared feeling of all competitors today was the beauty of the scenery of this stage which was easier than anticipated for most. Indeed, the sand was cooperative and the dunes cords relatively well maneuvered. In these conditions, David GERARD and Pascal DELACOUR signed the best time of the auto category with their OPTIMUS. The French are ahead of the “Fous du Volant” team Philippe GOSSELIN and David BONON who dedicated this success to their friends Dominique LAURE and Christophe CRESPO, out of the race for now two days. 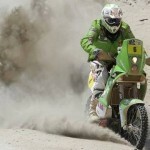 Patrick MARTIN and Didier BIGOT are third of the stage in their TAREK. A result putting them straight to the 2nd position in the general ranking following the complicated race of Yves FROMONT and Paul VIDAL’s TAREK. On their side, Jean-Pierre STRUGO and François BORSOTTO, the leaders of the general auto/truck ranking, settled for a 5th place today. An honorable result enabling them to keep the leadership with an hour and twenty minutes ahead of MARTIN/BIGOT and near to one hour thirty on GERARD/DELACOUR. Amongst the noticeable performances of the day, the team composed of Jean-Luc PISSON-CECALDI and Thomas GAIDELLA in their SSV CAN-AM X3 scored a 6th place. They are ahead of François & Stéphane COUSIN on his NISSAN, 7th, first 4×4, and 8th Yves FROMONT and PAUL VIDAL with 55’20’’. Finishing ninth, André & HIRIGOYEN and François CAZALET place for the first time their 2 wheel drive prototype in the top 10. On the other hand, Alexey TITOV and Andrey RUSOV had a brighter race with their big FORD Raptor and finish 10th of the stage. After breaking down in their IVECO yesterday, Igor BOUWENS, Tom DE LEUW and Ulrich BOERBOOM had to catch up today. Mission accomplished for the Belgium team who scored 2nd time in the auto/truck category, 2’31’’ from David GERARD. Most importantly, they are ahead of the TATRA of Tomas TOMECEK by 32’34’’ and Elisabete JACINTO, Jose MARQUES and Marco COCHINHO’s MAN by 35’46’’. 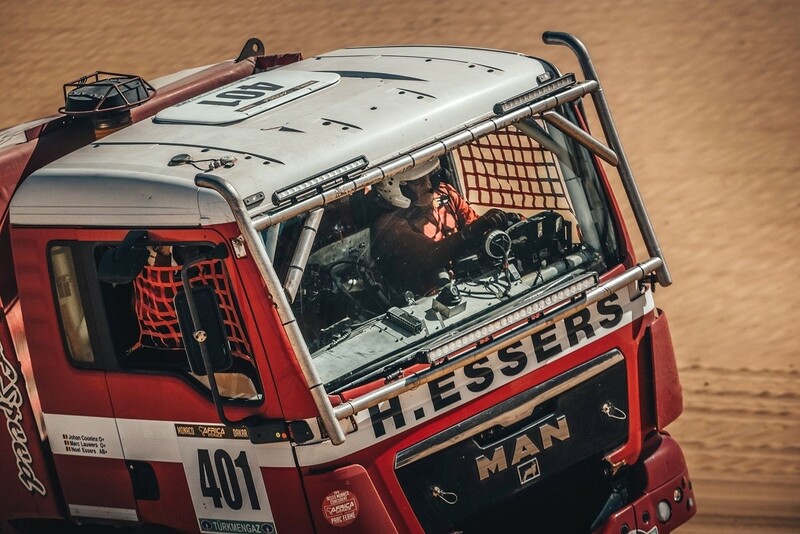 The Portuguese keep nevertheless their advantage in the general ranking with over two hours on Noël ESSERS, Marc LAUWERS, Johan COONINX in their MAN and Johan ELFRINK & Dirk SCHUTTEL in their MERCEDES. 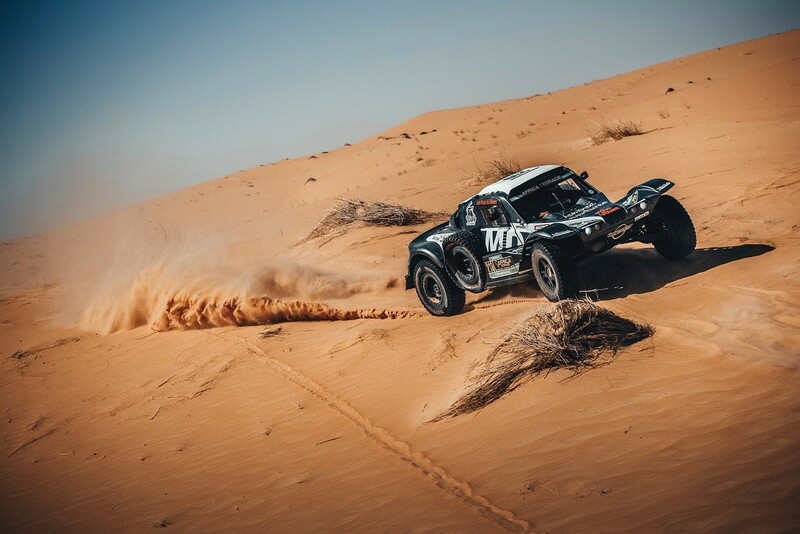 Tomorrow, the caravan of the AFRICA ECO RACE will leave the Adrar region to join Akjoujt, usual stop for the AFRICA ECO RACE. 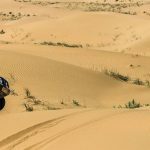 In 2018, it was this last special stage of Mauritania was the hardest of the 10th edition. 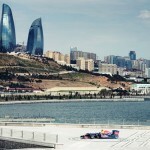 Even though the selective area of 472 kilometers has changed and two thirds of the track is renewed, the day will still be very challenging.